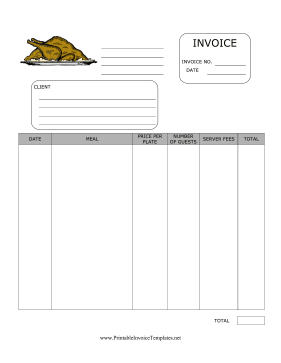 A cooked turkey decorates this invoice for caterers. It features the meals, price per plate, number of guests, and waiting fee. It is available in PDF, DOC, or XLS (spreadsheet) format.